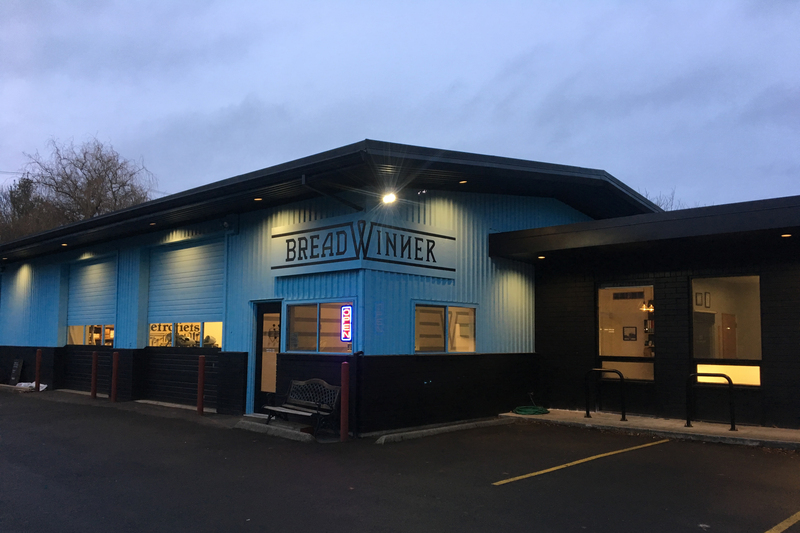 The Breadwinner Cafe is Portland’s premier cycling cafe. Stop in for a delicious coffee, meal or some riding food before you hit the road. This one-of-a-kind bike-friendly cafe is a hub for local rides and offers a glimpse into the unique production of Breadwinner Cycles. Come have an espresso and watch machining, brazing, and hand finishing through the window from the cafe into the production shop. Alongside our custom bicycles, we are proud to offer a menu featuring custom sandwiches, pre-ride breakfast fare, and post ride snacks. Our cafe offers quality food cyclists and health conscious people appreciate along with quality espresso from Water Avenue Coffee. We locally sourced foods from Fleur de Lis Bakery, Bowery Bagels, Earthy Gourmet, Columbia Gorge Juices and Steven Smith Teas. We offer a selection of beer and wine for the perfect post-ride or after work relaxation from Baerlic Brewing, Ex Novo brewing, and Grochau Cellars.